Under the Trump Administration, policies enacted under the facade of upholding “law and order,” in actuality, target marginalized people. These policies make communities less safe, increase racial profiling in policing, tear families apart through deportations, and take money away from community programs. When it comes to keeping our families safe in this political climate, communities should be able to look to the City of Chicago to provide protections to those who are most vulnerable. After the Election, in response to anti-immigrant rhetoric Chicago spoke out in affirming that it is a “Sanctuary City.” However, the reality is Chicago is neither safe for undocumented immigrants nor for many people of color, particularly Black and poor residents. This is why there is a campaign in Chicago to redefine what it means for a city to be a Sanctuary. 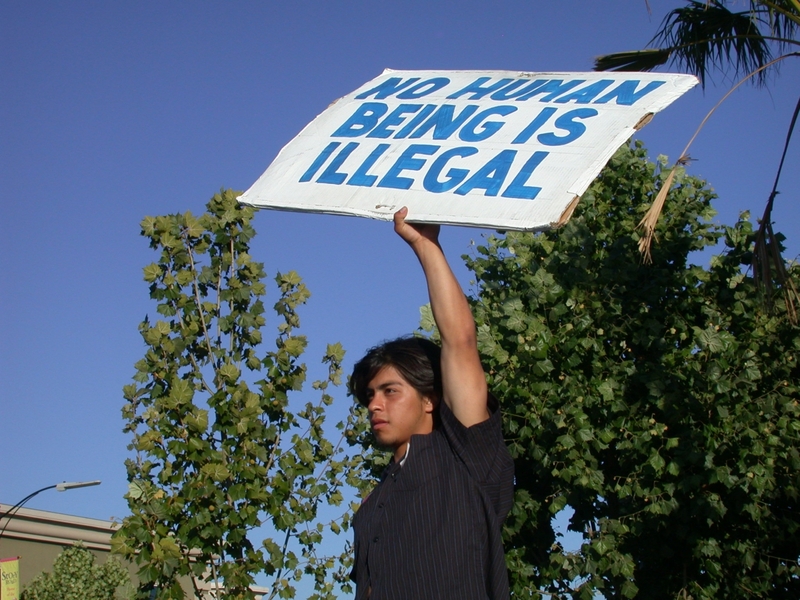 Led by Organized Communities Against Deportations (OCAD), Mijente, and Black Youth Project 100 (BYP100), the campaign to “expand sanctuary” focuses on establishing safe spaces in public-serving institutions, such as schools and city agencies, as well as demanding better policies at the city level that offer real protections for marginalized communities. As a part of the national movement, the Campaign to Expand Sanctuary in Chicago is reimagining what are community solutions to violence. The following highlights parts of the Campaign to Expand Sanctuary, focusing on community-led policy advocacy with the City of Chicago. 3. Bars local government’s participation in any type of discriminatory registry based on race or religion. Currently, the Ordinance prohibits city employees, including the Chicago Police, from asking or investigating a person’s citizenship or immigration status or detaining individuals based solely on an immigration detainer. It also prohibits city employees from threatening individuals based on their immigration status. However, the Ordinance carves out categories of individuals exempted from protection, such as: individuals with past convictions (regardless of how long ago their conviction was), individuals who are currently defendants in a criminal case (usurping individuals’ constitutional rights to Due Process), and individuals tagged in a gang database (with information that has shown to be unreliable and inaccurate). Chicago cannot be a “sanctuary city” when police are shooting and arresting Black and Brown people in the street, and when arrest information gathered by the Chicago Police Department leads immigration enforcement agents directly to the homes of family members. In recent months, in addition to working on the Welcoming City Ordinance, local immigrant rights groups have joined Black-led organizations in supporting a resolution of changes to the police union contract. Furthermore, the Campaign to Expand Sanctuary is scrutinizing the City’s use of the gang database, which affects US-born and immigrant people in similarly intense ways. The gang database is purportedly designated to tag people who are involved in gangs. However, the criteria for suspected gang affiliation is arbitrary and the database itself includes false and outdated information. The data is made available to ICE, which it uses against individuals to target them for deportations. For U.S. citizens, being tagged in the database increases individuals’ sentencing time and the severity of possible charges against them and affects individuals’ chances of getting a job. Individuals are often unaware of their inclusion in the database until they are before a sentencing judge or in immigration proceedings. As a part of the national movement, the Campaign to Expand Sanctuary in Chicago is reimagining what are community solutions to violence. Communities are aware that the solution is not to place more police in our neighborhoods or to provide more funding to militarize the police force. The Campaign is challenging all of us to envision a fair and just world by tackling the systemic barriers that harm Black and Brown communities. Beyond resisting, community members are re-defining what it means for Chicago to be a Sanctuary City, that is: safe from immigration raids and police violence, safe in schools and with secure housing, and decriminalizes people and invests in social services. Immigration, policing, racism, sanctuary, Trump. Bookmark.